People say things like all roads in wine discovery lead to Burgundy (or Barolo for Italy)... and for good reason. The wines can be mythical. They can also be expensive. And they also demand some insight. When they deliver they are easily some of the most captivating wines in the world. We always advise to find a producer you like and then follow in most vintages. Don’t chase hyped vintages or scores. Decide for yourself. 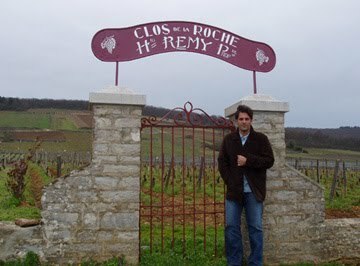 There are finally a smattering of good deals out there in the Burgundy wine world. We taste the bad stuff so you don’t have to. Here are a few recent arrivals that have passed the mustard. Folks like Allen Meadows of Burghound and Stephen Tanzer of International Wine Cellar (who are both respected in the critique of Burgundy) are both notoriously conservative in their scoring but have very reliable palates. 2004 Henri Prudhon St. Aubin Blanc "Les Castets"
(87 Points: Burghound) A pretty and airy nose featuring spice hints, poached pear and lemon rind nuances introduces round, easy-to-like flavors that possess good mid-palate fat and a delicious finish. Solid if not exceptional quality and this will drink well early. (86-88 Points: Burghound) A surprisingly ripe nose of earth, crushed berries and a touch of animale leads to round, rich and punchy flavors that don't possess the same degree of phenolic ripeness, particularly on the edgy finish. This may round out with additional time in barrel but my guess is that this will always display a bit of an edge. 2003 Jean-Marc Morey Chassagne Montrachet Rouge 1er Cru "Clos St. Jean"
(89 Points: Burghound) Cassis, red plum and earth, all wrapped in subtle spice and mineral notes merge into remarkably fine, indeed almost delicate and dusty flavors that are complex, mouth coating and very fresh. In particular, the pungent minerality adds real lift to the finish. This is recommended. 2004 Louis Boillot Gevrey Chambertin 1er Cru "Les Cherbaudes"
(89-92 Points: Burghound) This too is unusually high-toned, refined, pure and elegant with old vine fruit intensity that is both concentrated and airy and highlights round, fresh, precise and textured middle weight flavors that are also quite dense, firm and persistent with an explosive quality on the finish. This is a seriously lovely wine that is impeccably well balanced. 2003 Domaine Rollin Pernand Vergelesses Rouge 1er Cru "Ile des Vergelesses"
(89 Points: Burghound) Slightly deeper and riper notes of plum, violets and warm earth highlight round, rich and impressively precise and mineral-driven medium full flavors that are remarkably powerful for this cru. Despite the size and power, this remains impeccably well balanced though there is also a touch of warmth on the backend. (90-92 Points: International Wine Cellar) Good full red. Reduced smoky, meaty nose. A step up in lift and juiciness from the Rognet, with a suave, fine-grained texture and enticing inner-mouth aromatic character. Offers a pleasing combination of supple texture and energy. Finishes with broad, ripe tannins. Showing very well considering that it was racked three days before my visit.